Grows plants twice as big vs. unfed plants. Absorbs 33% more water than ordinary potting soil (Potting soil that does not contain sphagnum peat moss, coir, and wetting agent.). 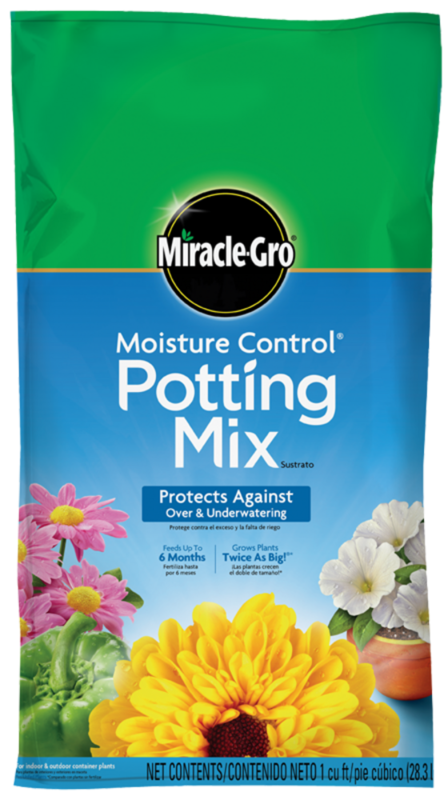 Feeds plants up to 6 months with Miracle-Gro® Continuous Release plant food. For Bigger, More Beautiful Flowers and More Bountiful Vegetables! Use anywhere- In Ground and In Containers. Feeds for up to 3 months!